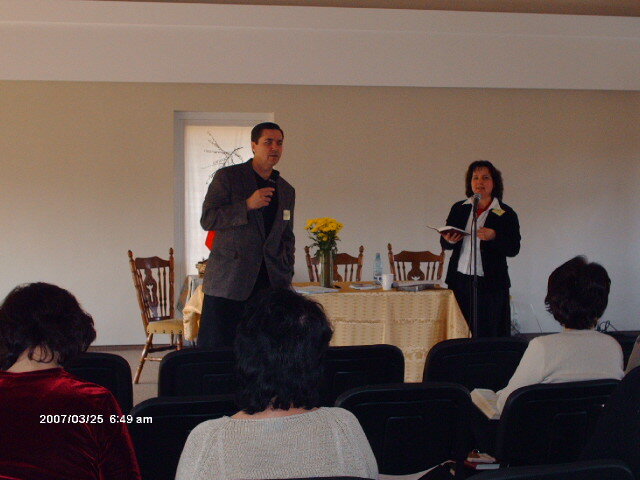 Blake Coffee, President of Christian Unity Ministry came to Romania with Ann Farris to teach the leaders of Becky's Hope. Principals from his book "trusting God's People Again" were taught at this meeting. Among the participants were pastor Henry Kufeld Seth and his wife from Poland who have a daughter with Downs Syndrome and shared their desire to implement the vision of Becky's Hope in their country. Twenty years after the Revolution in Romania, Franklin Graham and his team came for a Spiritual Revolution during a weekend crusade in 2008. Becky's Hope was asked to help with the distribution of wheelchairs which were sent by the Billy Graham Association, so that many people with disabilities could attend the crusade. A retreat for the siblings of families with special needs children that help many of them get a better perspective of theri role in the family especially as encouragement to their parents who are coping with having a special needs child.